Our firm was commissioned to prepare the master plan and landscape architectural design for this 82-acre Quaker-directed retirement community. 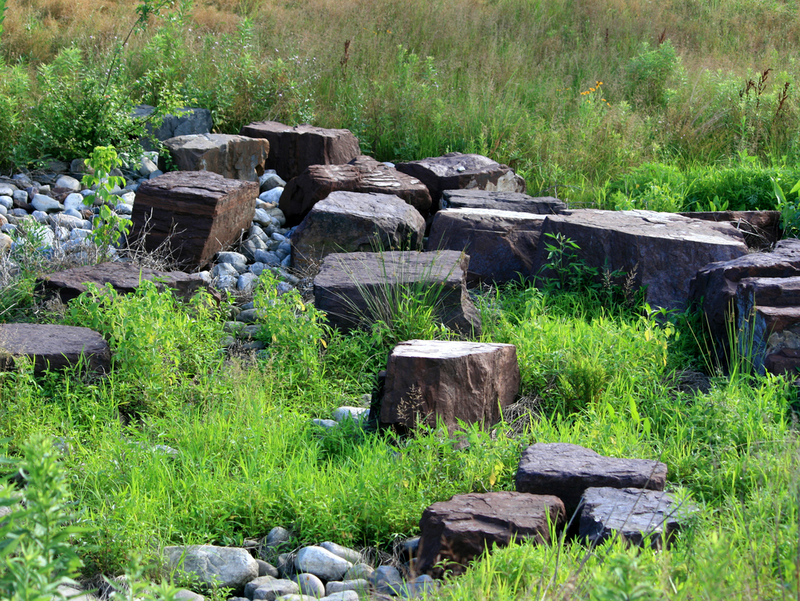 Understanding the Quaker values placed on land, stewardship and education, the design team recommended the redesign of an approved regional stormwater management system, a public/private partnership between Pennswood, the Township and The State that had been ten years in the making. Now armed with an expanded team of hydrologists, plant ecologists, wildlife biologists, civil engineers and landscape architects, the team took what had been a flat farm field, and designed a “Riparian Corridor”; a series of linked best management practices (BMPs) that included fore-bays, vegetated swales, infiltration basins, created wetlands, and a small wet pond. This design, which created a park for the residents, an environmental education center for students around the region, and a ‘sense of place’ reflective of the character of Bucks County.